You must catch out the imposter by collecting information and catching them in a contradiction. 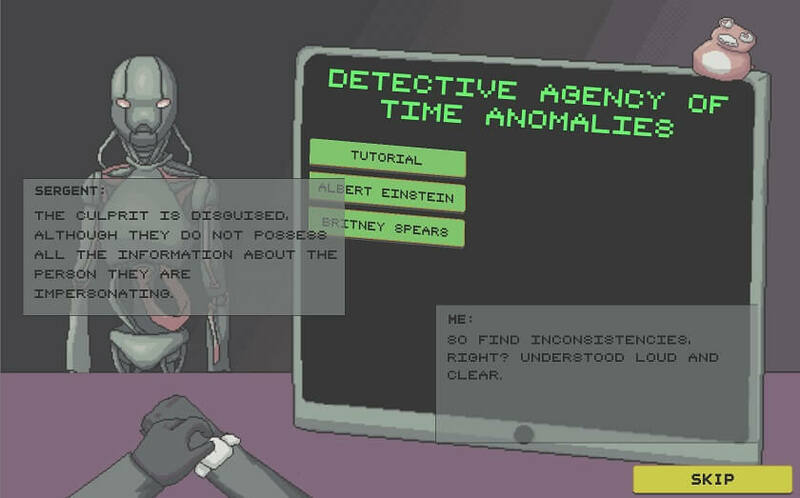 Solve historical crimes, generated by an AI fed information from Wikipedia, in Data Agent. Data Agent, from a team of Gabriella A. B. Barros, Michael Cerny Green, Antonios Liapis and Julian Togelius, is a clue-gathering game which has players solve a historical murder by visiting locations and asking questions of august characters. The important twist? All the information in both of the included cases was gathered and structured by an AI let loose on Wikipedia. What this means is that in the case of, say, Isaac Einstein having been killed, you will be cross-questioning other individuals who knew him at the time, travelling around geographic locations relevant to his life and locating documents and theories important to him. 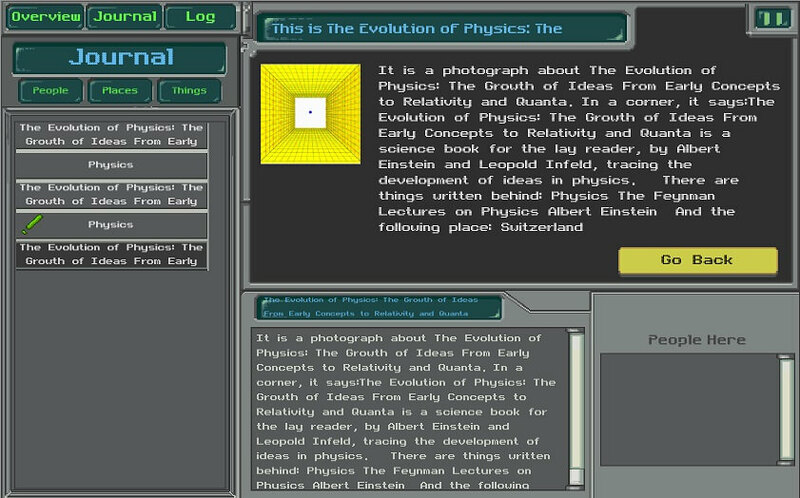 Due to the spider-like crawl of the AI and the constraints it used to collect information, it does have some funny quirks: where Germany was, for a time, classified as an empire, it essentially exists twice; where two suspects were notable students of established lecturers and one wasn’t, the sentence is peculiar when presented in games. While this is somewhat uncanny, or even jarring, it is impossible to deny that the team’s work in creating this small example of how AI can work within frameworks to create murder mysteries is extremely clever. If anything, the issue with how the data is used should be passed onto the source of the data. The AI works with set classes of data — if that data is not provided,it simply works with what it can find. If an AI is asked to go to a shop and ask where the fruit is, it will surely return with several locations, but also with information that the fruit is in ‘This is a music shop, we don’t sell fruit’. Data Agent is a fascinating example of what could be the start of a much larger project, which could build deeper, twist-filled mysteries. It already includes certain simple puzzles, like using a key or crowbar to access a location, which serves as a way to direct players’ progress. Second playthroughs, where people have already seen the mechanics of the system, can be completed in around three to four minutes. However, it is most importantly an example of how information can be procured and repurposed into the start of a compelling game. Data Agent is free to play in-browser over on itch.io. A few of the developers (M. Green, G. Barros) are working in the AI field and can be followed on Twitter — if that field is one that interests you.